Photographers take thousands of pictures to capture that handful that have meaning, emotion or impact to those who view them. There are tens of thousands that are but frozen moments in a photographer’s eye as they pause, consider and then move along without even lifting the lens to capture the moment. There are thousands that are captured but get deleted and never make it past the digital memory card in the camera. There are hundreds more that may get downloaded and viewed, but get deleted before they even have any chance of getting those “finishing touches” applied before finding their place in a digital folder, on a website, in print, or on a canvas. I find myself and my images going through this process constantly. My website reflects some of my images that have made it to that final stage. Knowing the process I go through, you may ask, “Why does her blog feature this particular image?” To some it may not have that “wow” factor, that impact or those emotions that I hope some of my images have for those who view them. But perhaps if I share my journey with you and explain how and why this particular image made it to my blog page this month, you’ll understand a little better. I took this particular image one weekend on a photo walk through Gibbs Gardens , located in the foothills of North Georgia’s mountains. If anyone has had the pleasure of visiting it yet, everywhere you look, everywhere you go, you’re surrounded by flowers, landscape, artwork and sculpture that are truly beautiful. A nature photographer’s dream come true! 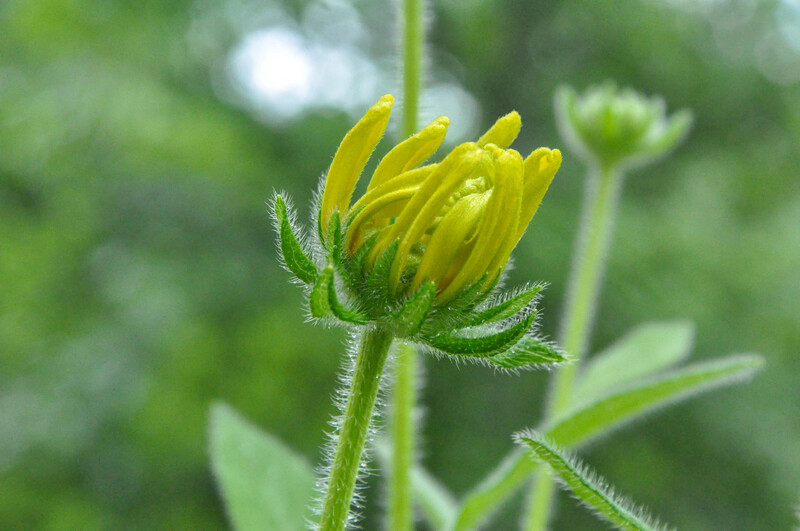 In the midst of all this, my photographer’s eye was caught by this budding flower; I lifted my lens and captured the image, paused for a few moments more and considered…possibilities. The image made its way through the viewing, deleting, saving, and editing stages, all the way to my blog page. It even went a step further and became the featured photo and focus of this blog. For me this image has become very personal, meaningful and inspiring. When I view this image it makes me think about possibilities: this delicate bud could blossom into a stunning flower bursting with fragrance and surprising bursts of color, shining in its own right in a garden full of other flowers. Or a heavy storm could come along and crush it under the force of the wind and rain, cutting short its hidden beauty and promise. Or a garden visitor may notice it’s young beauty, stop and gingerly pick it from the garden, take it out of the garden to their own home and place it in a small vase on a windowsill, admiring it’s beauty as it starts to blossom but then becoming disappointed as it withers before it’s reached the full potential it could have if they had let it be to develop and blossom in its natural environment. I’m not very different from others who may take the time to read my blog. There are many things in my life I have to be thankful for and there are things I have accomplished that I can call successes or that have added meaning to my life and those around me. I have gone through storms in my life that have come close to wearing me down. I have taken paths or made decisions that may not have been related to my passion or true calling but I thought were necessary or right for that time in my life; only to find out the success was short-lived, not truly meaningful, or ultimately disappointing because I was “playing it safe” or not stepping out of my comfort zone. I’m taking that step, going out of my comfort zone to embrace a new chapter in my life as a photographer. I see my own possibilities and I’ve found a path to get there. I’m excited about what the future, the next phase in my life, may hold. If I have my camera around my neck it’s as if life slows down around me, within me. I see everything and everyone differently. It’s no longer about me hustling to get from “point A” to “point B” but noticing, appreciating and enjoying everything in between, before I reach my destination. 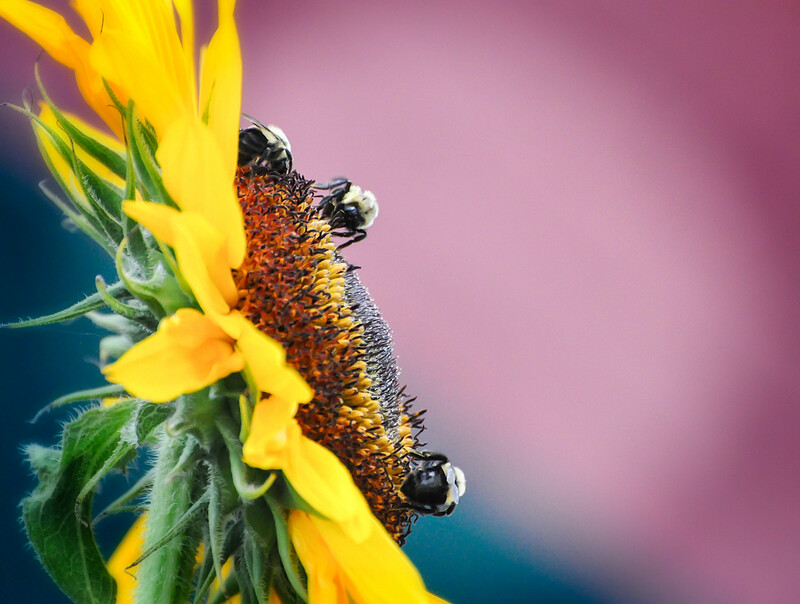 Whether it’s bumblebees foraging a sunflower for pollen or a butterfly that’s been attracted to a brightly colored flower rich with nectar, capturing these moments as a photographer has helped me appreciate all the things and people around me that I would have missed if I’d not stopped to “Be” present in that moment, to capture that moment, with my lens. along the way. As a photographer, I’m learning all about the importance of just…Being. Being in the moment, being with those I love, being me. As a native Georgian who has lived for over 40 years in Atlanta, I thought I knew just about all of the scenic destinations in and around the city. 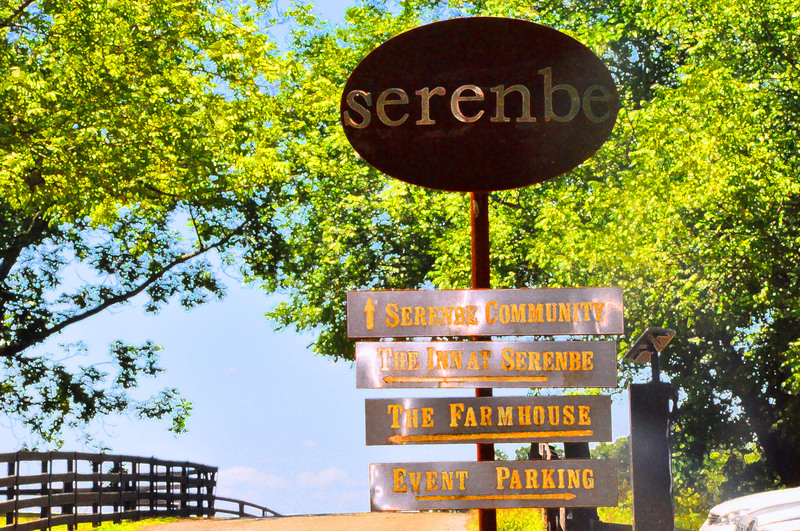 I was pleasantly surprised to discover Serenbe, a gem of a sustainable community nestled in the Chattahoochee Hills of Palmetto, GA (about 30 minutes from the Atlanta Airport). A 1,000 acre “farm to table” community on preserved land, this quiet and beautiful destination is the perfect place to escape from the hustle and bustle of city life to enjoy the spectacular scenery, friendly residents and merchants and delicious restaurant and café cuisines. When I first visited a few weeks ago, I started my day with a delicious iced coffee from the Blue-Eyed Daisy Bakeshop. Being a “foodie” who loves watching the Food Network Channel, what drew me in was the big banner in front of the bakeshop inviting everyone to tune in to the next episode of “Cupcake Wars” to watch them compete. The pleasant young ladybehind the counter of course knew the outcome but was sworn to secrecy until after it aired. I’ve since watched the episode and learned they won, so it will give me a good reason to return soon to try one of their winning cupcakes! After leaving the bakeshop, I spent the day walking around the community’s outdoor market (that sets up every Saturday morning), retail shops and galleries, and residential and farming neighborhoods, all providing me with some great photo opportunities. I ended the afternoon with a delicious brunch outdoors at the Hill restaurant. I can’t wait to return because there is so much my camera and I didn’t get the chance to discover. If you get the chance and haven’t been yet, go one weekend and you won’t be disappointed. If you’ve been I’d love it if you’d post to my blog and share what you particularly liked about Serenbe. I’m always looking for “Unexpected and Unexplored Treasures,” no matter where they might be in this world (we all should have a bucket list of places to visit and I add to mine almost weekly), so if you’ve been someplace scenic that was particularly memorable to you, share it on my blog so my visitors, bloggers and I can go exploring too!